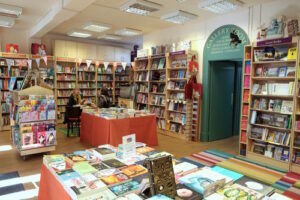 While most indie authors will at some point have dreamed of getting their self-published books on the shelves of their local bookstore, many bypass that route to customers because it can be hard to make it economically viable, even if you do manage to persuade the management to stock it. This case study by English novelist Suzy Howlett makes it clear that it is possible to place your book successfully and profitably, provided that it’s a good match for the store’s clientele, and that you build a great working relationship with its owners. While her success has so far been with a single store, it has given her the confidence and credibility to continue her campaign further afield. Read her lively post to glean whether her example might also translate for you and your books. When my husband Neil and I self-published Return to Kirrin, our take on Enid Blyton’s hugely popular Famous Five series for children – in our book they are forty-somethings with families of their own, in Thatcher’s Britain – we planned to launch it at our local independent bookshop, The Hunting Raven, in the English country town of Frome, Somerset, of which we’d been customers for thirty years. At that first exhilirating evening event, we signed and sold 21 copies of the 250 we’d bought as stock for handselling. 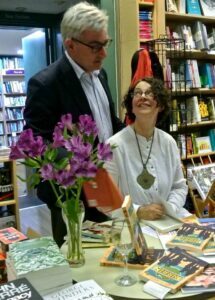 As a result of that success, the manager, who liked our book a lot, booked me for a signing on a Saturday. How many books did local authors usually sell? we asked. Between 3 and 12 in the first month, and the odd one here and there after that. I went home to learn how to make invoices, wondering whether 250 books had been a mistake. The signing began. I had a pile of books, my best pen, and a determined smile. It was mid-November, and the first two customers walked straight to the till to order bestsellers and hurried out. 55 minutes left of my allotted hour. Number Three made for the maps at the back of the shop and scowled at me on the way. I tried brightening my smile, which was a mistake. Four and Five picked up orders in a hurry, Six had a yelling baby and Seven delivered the post. 46 minutes left. The shop assistant brought me a cup of tea, and smiled kindly. Eight looked more promising: in her fifties, browsing adult fiction, the right demographic. I relaxed my grin, as my jaws were aching, then re-applied it less manically. Here goes. “No, I certainly did not,” she replied, crossly. That told me. “Ah, probably not the book for you, then,” I apologised to her back. But Nine had come into the shop a moment before, and overheard my effort. She might have been Eight’s sister, so similar did she seem, but she approached my little table. Voluntarily. Of her Own Free Will. “I loved them,” she said. Reader, she bought it! Not a loyal friend, but a stranger shelling out for our book. 40 minutes to go. Ten, an elderly man, came to see what we were talking about. I did my spiel, and proffered a copy. “Which character did you want to be as a child?” I added. Gosh, I liked him a lot. As he left, I called after him, “I hope you enjoy the books!” Now that was a good move. The customer coming in past him ambled over to see what I was talking about. She bought one. As she queued at the till, three more people came into the shop. 30 minutes to go, and now I knew what to do. “Enjoy the book!” I said to the queue at the till, very distinctly, because I was learning that nothing generates interest like seeing other people’s interest. Add a question to get a discussion going, and suddenly you’re in business. In the last half-hour I sold a dozen books to a surprisingly wide demographic, including a white-whiskered chap who’d been a police sergeant in 1979 and remembered the astonishing police-training handbook we quote in the novel. Return to Kirrin outsold everything that day – 16 copies in an hour. Please would I leave five extra copies for stock and do more signings? Would I! At the second signing, 21 copies sold. Our book was put in the window, next to the Private Eye Annual (a British satirical magazine’s yearbook), and also facing out with the Ladybird and Famous Five spoofs (although it’s a novel). Copies began to sell when I wasn’t there. I delivered emergency stock, straight from work. Placement is king! Sixteen days after our launch a gratifying e-mail from the bookshop told us that Return to Kirrin was their best-selling book of November. I managed three more signings before Christmas (as much as the day job permitted) and loved them, behaving like a member of staff, recommending books for reluctant eight-year-olds, and showing people where to find the craft section. For the second month, Return to Kirrin was the best-seller in the shop – in the prestigious Christmas sales, too. Eat your heart out, Philip Pullman! In our own little way, we were best-selling authors! 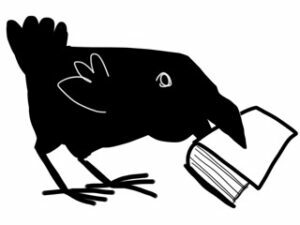 The pile of 250 books is down to fewer than 50, just six weeks after our launch, most of them sold at The Hunting Raven. We haven’t conquered the world, only our little town, but we’ve proved that IF they get to hear about it, people want to read Return to Kirrin, and it’s being enjoyed by a hundred-and-something strangers who didn’t know they wanted it until they saw it and handled it. It’s potentially commercial. But I believe that none would have stumbled across the book, which was kept originally in the Local Author section, had I not been there to learn the business of signing and engaging. The staff have said “This is phenomenal, and if you could be in every bookshop this book could be a national best-seller”. That, my fellow writers, feels strange and wonderful, and now I am itching to give it a wider chance. Thank you, Hunting Raven. Sit in a very visible part of the shop if possible. Use an A4 display stand with your book cover and some quotes to attract attention. Catch people’s eyes and talk to them – ask them questions – but don’t pester if they’re not interested. THIS INTERACTION IS THE MOST IMPORTANT BIT. Generate interest by letting other customers overhear you talking to those who have just bought your book – they will see that someone has been attracted to it, which is interesting. If there’s nobody near your table, look very busy signing copies. Have some promo postcards/bookmarks to give out as they may generate sales in the future. Sound interested – in other people and in your book. If you’re not interested, why should anyone else be? Talk widely and generously – I recommended books by other authors, and used my knowledge as a teacher to help grandparents make choices for Christmas. One or two then bought our book, too. Be ambitious – I ran out of books a couple of times, so take plenty. 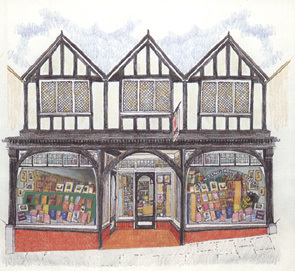 Keep supporting your local bookshop – they are very wonderful places. OVER TO YOU If you’ve built a successful relationship with your local indie bookstore, do you have any top tips to add to Suzy’s experience? Cautionary tales also welcome! 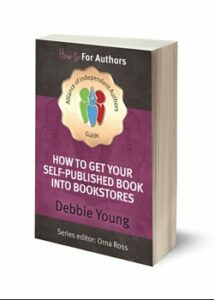 Read ALLi’s guidebook, How to Get Your Self-publishing Book into Bookstores, for a detailed analysis of how bookstores operate and of the possibilities and constraints for indie authors. While we do not advocate that this route is right for every indie author, we believe that it’s important to make an informed decision before you embrace or dismiss it for your books. 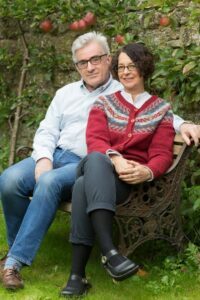 Suzy Howlett is a teacher and features writer for educational magazine "Little Things", and her husband and co-author Neil is a lawyer in a practice in Frome, Somerset, where they live and where they have established a long relationship with their local bookshop, The Hunting Raven. "Return to Kirrin" is their first book, published via SilverWood Books. You can find out more via their Facebook page, @ReturntoKirrin. Thank you for sharing your story Suzy. I think you have changed my mind about doing a book signing at the local bookshop when my children’s book is released this March. Being my first book I was nervous that nobody would be interested. Your story has definitely encouraged me. I’m so happy you have had a great experience with a local book store! This is very promising!! My books are in Independent Stores but none near me because we don’t have any. But, I did have a book signing at our local Barnes & Nobel and it went well. I’m hoping to set up another one this spring. I will do my best to be outgoing and charming like you seem to be! Actually our local bookshop does all those 10 tips for us. Sets up the table, a sign and tells people who buy at the till to go and look. We converse all the time as the table is opposite the one and only till. My main point would be to establish the good relationship FIRST even some years before. This year I bought all my Christmas presents via my local bookshop, emailing the ideas as they were sent to me and going in to collect and pay once a week. We could all do that! Excellent, Di. Sounds like your bookshop is special, too. We bought most of our Christmas presents in the bookshop, and virtually everything locally. I agree about establishing the link well in advance. We are lucky to have had links with The Hunting Raven for thirty years!